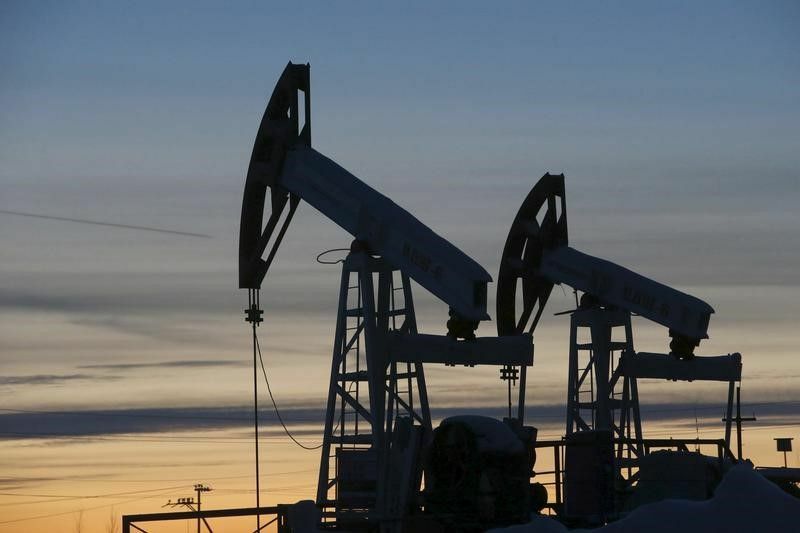 Oil prices dipped on Thursday, weighed down by plentiful supply despite ongoing efforts led by OPEC to tighten the market by cutting production, according to Reuters. Brent crude was down 11 cents, or 0.2 percent, from its last close at $52.10 per barrel at 06:44 GMT, as reported by Reuters. U.S. West Texas Intermediate (WTI) crude was down 9 cents, or 0.2 percent, at $48.99. The downward correction eroded gains from the previous session when prices rose on the back of a drawdown in U.S. crude inventories and a slight dip in American production. The U.S. Energy Information Administration said on Wednesday that crude inventories fell 1.8 million barrels for the week to May 12, to 520.8 million barrels. However, the drawdown was smaller than expected, and many traders say there is still more oil in the system than the market can absorb. "The fall in stockpiles undershot the expectation of a 2.36-million draw," said Greg McKenna, chief market strategist at futures brokerage AxiTrader. "OECD stocks were up 24.1 million barrels (in Q1 2017) due to a large build in January," BMI Research said, adding that this left the stocks 307 million barrels above their five-year average. "Crude stocks are still higher than last year's stock levels.... There is a long way to go before we arrive at 5 year average stock levels," said Sukrit Vijayakar, director of Trifecta energy consultancy. In order to achieve the target of reducing these stocks to their five-year average during the supply cut period, BMI said that inventory drawdowns would have to average 25.6 million barrels per month. Read alsoUkrnafta reports $2.7 mln in net profit in Q1Overall supplies remain ample, with large amounts of crude from the United States and other producers being shipped to the big consumer regions in northern Asia, undermining the OPEC-led efforts to tighten the market. The Organization of the Petroleum Exporting Countries (OPEC) and other producers including Russia have pledged to cut production by almost 1.8 million barrels per day (bpd) during the first half of 2016, a deal likely to be extended until the end of March 2018. Other producers have been quick to fill any supply gap. Shipping data in Thomson Reuters Eikon shows that U.S. crude exports to Asia have soared from just a handful of tankers per quarter throughout 2015 and 2016, to 10 tankers in the first quarter of this year, a figure expected to rise. North Sea oil shipments to Asia have also been at record highs this year, with 19 tankers delivering in Q1, and a similar amount expected to go to Asia in the second quarter.